Kapil Dev Ramlal Nikhanj , better known as Kapil Dev, is a former Indian cricketer. He captained the Indian cricket team which won the 1983 Cricket World Cup. Named by Wisden as the in 2002, Kapil Dev was one of the greatest all-rounders of all time. He was also Indias national cricket coach for 10 months between October 1999 and August 2000. 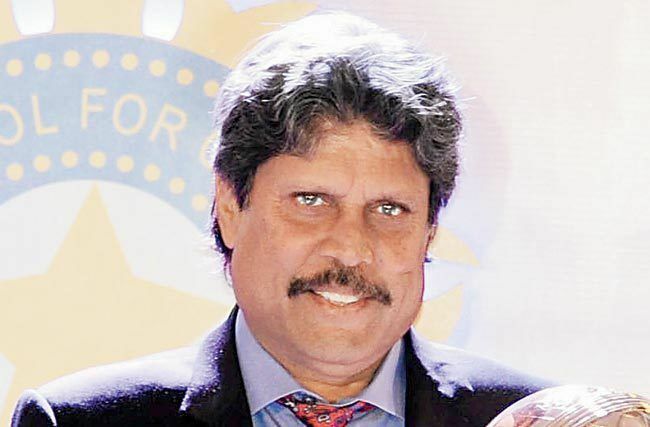 Kapil Dev was born as Kapil Dev Ramlal Nikhanj to Ram Lal Nikhanj, a building and timber contractor and his wife Raj Kumari in Chandigarh on 6 January 1959. His parents had migrated from Rawalpindi during the Partition of India. Kapil Dev was a student at D.A.V. School and joined Desh Prem Azad in 1971. He also attended St. Edwards School, Shimla. Kapil Dev made an impressive debut for Haryana in November 1975 against Punjab with a 6 wicket haul, restricting Punjab to just 63 runs and helping Haryana to victory. Kapil finished the season with 12 wickets in 3 matches. In the 1976–77 season opener against Jammu & Kashmir, he had a match haul of 8/36 to win the match for his team. While his contributions for the rest of the season was ordinary, Haryana qualified for the pre quarterfinals. Kapil Dev achieved his then best innings haul of 7/20 in just 9 overs in the second innings to skittle Bengal for 58 runs in under 19 overs. Although Haryana lost to Bombay in the quarter finals, his form made the nation sit up and take notice. Kapil made his Test cricket debut in Faisalabad, Pakistan on 16 October 1978. Although his match figures were unimpressive, the numbers did not convey any measure of Kapils contribution in the match. With his speed and bounce, he brought glee to the Indian players as the Pakistani batsmen were startled with bouncers that struck their helmets on more than one occasion. Kapil also captured his maiden wicket of Sadiq Mohammad with his trademark outswinger. He showcased his all-rounder talent when he scored Indias fastest Test half-century off 33 balls and 2 sixes in each of the innings during the 3rd Test match at National Stadium, Karachi, although India lost the match and the series 2–0. In the ensuing series against a visiting West Indies team, he scored his maiden Test century (126) at Feroz Shah Kotla, Delhi in just 124 balls and had a steady bowling performance (17 wickets at 33.00). Ominous signs of Kapils liking for England showed up in the ensuring series, his first outside the sub-continent. Kapil picked up his first 5-wicket haul and all of Englands wickets, although it came at a huge cost (48 overs and 146 runs conceded) as England scored a mammoth 633 and won the match comfortably. Kapil finished the series with 16 wickets though his batting haul of 45 runs (Average: 7.5) was unimpressive. His debut in ODI Cricket happened in the earlier tour of Pakistan where his individual performance was ordinary and it stayed the same as both Kapil and India had a poor campaign at the 1979 Cricket World Cup. Kapil Dev established himself as Indias premier fast bowler when he took two 5-wicket hauls and ended the home series against Australia with 28 wickets (Average: 22.32) and also 212 runs that included a half-century. Kapil Dev gained fame in the 6-Test home series against Pakistan in the 1979–80 season when he led India to 2 victories against the visitors – once with the bat (69) at Wankhede Stadium, Bombay and the second time with bat and ball (10-wicket haul in match – 4/90 in the first innings and 7/56 in the second innings, 84 in 98 balls with his bat) at Chepauk, Madras (Now Chennai). Kapil rates his all-round performance in this match as his best bowling effort in his career, and his second innings figure of 7/56 was his best to-date. During the series, he also became the youngest Test player to achieve the all-round double of 100 Wickets and 1000 Runs and in 25 matches (although Ian Botham took just 21 matches to achieve the same feat) and finished the series with 32 wickets (Ave: 17.68) and 278 runs that included 2 fifties. Kapil Dev debuted as Indias captain in the 1982–83 season against Sri Lanka (before the Pakistan tour) when Gavaskar was rested. His first assignment as regular captain was the tour of West Indies, where the biggest accomplishment was a lone ODI victory. Kapil (72) and Gavaskar (90) led India to a huge score – 282/5 in 47 overs and Kapils 2 wickets aided India to restrict West Indies for 255 and a victory that Indian cricketers claim gave them the confidence to face the West Indies team in 1983 Cricket World Cup. 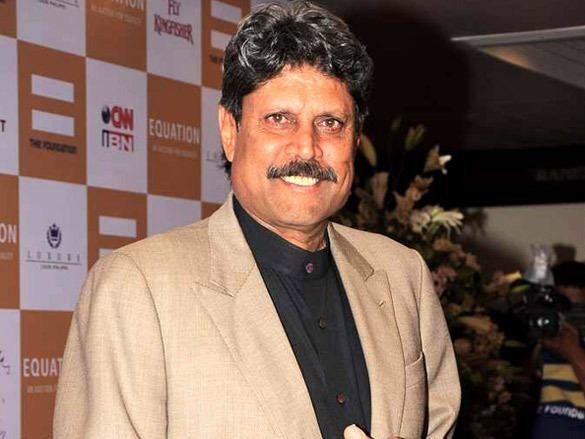 Overall, Kapil Dev had a good series in West Indies as he scored a century to save the second test match as well as picking up 17 wickets (Average: 24.94). Kapil was reappointed captain in March 1985, and guided India on a Test series win over England on their tour in 1986. This period saw one of the most famous matches played during his reign, the second Tied Test, in which he was named joint-man of the match with Australian batsman Dean Jones. By the end of 1983, Kapil already had about 250 Test wickets in just five years and looked well on his way to becoming one of the most prolific wicket-takers ever. However, his bowling declined following knee surgery in 1984, as he lost some of his majestic jump at the crease. Despite this setback, he never missed playing a single test or one-day game on fitness grounds (save for his disciplinary ouster in the 3rd test at Calcutta during the 1984/85 series against England). He continued to be effective, if not devastating, for another ten years and became the second bowler ever to take 400 wickets in Test cricket in 1991–92 when he took Mark Taylors wicket in a series versus Australia in Australia. In that Australian tour he took 25 wickets. Kapil dev was appointed coach of the Indian national cricket team in 1999, succeeding Anshuman Gaekwad. In his term, India won just one test match (at home against New Zealand) and had two major series losses in Australia (3–0) and at home against South Africa (2–0) and in general considered a disappointment. At the height of the match fixing allegation by Manoj Prabhakar – a charge that was dismissed later, Kapil resigned from his position as national coach. Stung by the betting controversy, he announced his farewell stating that "I bid adieu to the game that gave me so much and then took a great deal of it away on the mere hearsay of a third party". After a brief interval, he was succeeded as coach by former New Zealand batsman John Wright, who became Indias first foreign coach. He was introduced to Romi Bhatia by a common friend in 1979 and proposed to her in 1980. 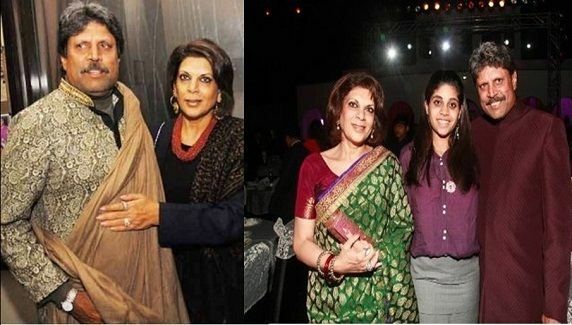 The couple married in 1980 and had a daughter, Amiya Dev, on 16 January 1996. After retirement from cricket in 1994, Kapil Dev took up golf. Kapil was the only Asian founding member of Laureus Foundation in 2000. Ian Botham and Viv Richards were the other two cricketers on the founding member council of 40. Steve Waugh was added to the Academy members in 2006 when it was expanded from 40 to 42. He has written three autobiographical works. By Gods Decree came out in 1985 and Cricket my style in 1987. He released his most recent autobiography, titled Straight from the Heart in 2004 (ISBN 1-4039-2227-6). He pledged his organs during an event organized by Delhi Urological Society on January 31, 2014 at the Airport Authority of India, Officers Club, New Delhi.